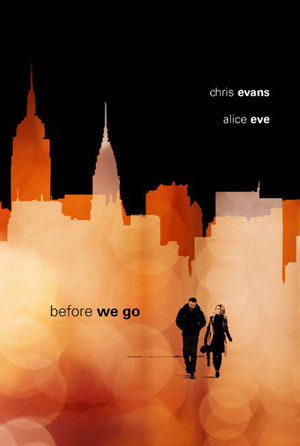 Chris Evans and Alice Eve star in the romantic drama Before We Go. A man (Evans) and a woman (Eve) meet on a train and begin to develop a relationship in the short time before Eve’s character has to catch another train. Flustered and fearful after a brush with a mugger, Brooke (Alice Eve) races through Manhattan’s Grand Central Station, desperate to catch the night’s last Boston-bound train. She fails to make it in time, and inadvertently succeeds in catching the eye of Nick (Evans), a busker, who is immediately enthralled. Their chance encounter leads to an intimate odyssey through nocturnal New York, and as Brooke’s initial wariness gives way, she and Nick prove keenly attuned to one another’s personal struggles. But while their connection is undeniable, a major complication looms: another train will be along in the morning, and Brooke has a husband awaiting her return.